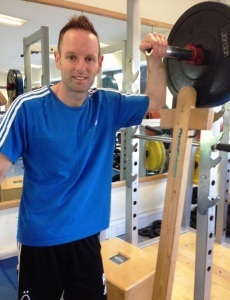 Bob Wood is a Physiotherapist and Athlete Development Specialist. His speciality is a functional and movement based approach to both rehabilitation and performance. He has spent many years running a successful private practice, and also has a personal functional training studio. He has produced numerous articles on all aspects of health and fitness, which have been published in magazines, national newspapers and radio, and has been a regular contributor to both Today’s Golfer and Golf World. He has written chapters and contributions within fitness books, medical textbooks and other media, and is the author of The Functional Training Resource and Functional Integrated Training. As a co-founder of Physical Solutions he has written and delivered numerous courses and still works with a wide range of professional athletes varying from the field of golf, cycling and triathlon to motor racing. 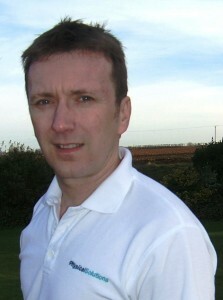 He has provided various consultancy and LTAD roles, including to Golf England, Badminton England, Loughborough University, SportsCoach UK and as Athletic Development Co-ordinator for the EGU. Bob has developed an expertise in Long Term Athlete Development and writes resources and provides training and education services to national governing bodies, AASE schemes, academies, colleges and schools, as well as working directly with his own client athletes. Andy was one of the founding partners of Physical Solutions. He has vast experience as a physiotherapist predominantly working in orthopaedic rehab and elite sport. He has completed a Masters degree in sports medicine and has particular interests in functional and movement based techniques in long term rehab. He spent time working in clinics in the US and he has provided consultancy services to Professional Football Clubs and within National Tennis Centres. He gained many years experience working with elite junior athletes and an understanding of the unique requirements of this age group. Currently he has been with Nottingham Forest FC for over 10 years. Andrew has lectured extensively to varied audiences from degree level to the general public on all aspects of sports injuries, back care, health and rehabilitation. Bob and Andy work closely together to refine and develop their own professional skills and the content of Physical Solutions courses, resources and consultancy. 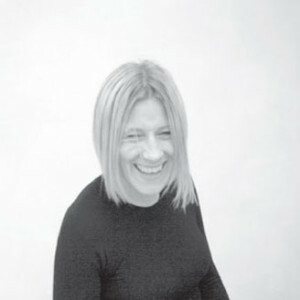 Nikki qualified as a Chartered Physiotherapist in 1991 and specialises in movement analysis and the mechanisms that produce movement; she teaches nationally on the subject. For the last six years she has been studying the long-term physical and emotional benefits of exercise. Her private rehabilitation clinic and gym near Hurstpierpoint has been operating for 12 years. Nikki’s rehab work has been predominantly with neurologically impaired patients and her own initiative she began investigating how other areas of “training” could contribute to neuro-rehab. She began working with Bob to extend her knowledge of screening and function, also became certified in Strength and Conditioning and studied other movement educators. Over the last few years she has refined this knowledge into her educational system and courses… “Neurofit”. Bob lectures on the Neurofit programme, and Nikki brings to Physical Solutions a different and valuable perspective on movement analysis and improvement. Helen is a clinical dietician, and an accredited Sports and Nutrition dietician. She provides all our input in terms of diet, sports nutrition and weight management. 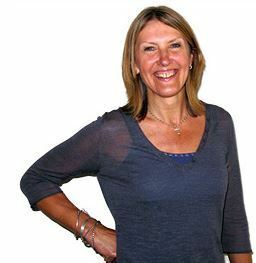 She has worked both for the NHS and privately as a dietician for the last 16 years, and practices in Norfolk and London. In 2006 she extended her skills with an MSc in the psychological approaches to health management. Helen’s skills blend with the well rounded approach to health management that we try to advocate at Physical Solutions. How you move, what you eat, and how you feel about this, are 3 main contributors to a healthy lifestyle. Sports nutrition can sound like a complex science, and is certainly marketed as such to aspiring athletes. The truth is that wading through this and making sure you are doing the basics better than the rest is going to give you the most advantage. Helen trains 6 days a week… she is an indestructible machine. Just don’t give her a racket though because she will break it. I have worked with Bob and the team for over 6 years now. They are professional, they keep me on track, I have trust in what they do, and it is always fun. Our sport is tough, and injuries can occur, and you need a team of people to help you who you can trust. Bob has always been there for treatment, rehab and advice. Bob’s been there all my career from teen to tour. Fitness, swing development, injury care and more. He tries hard to beat me on the putting green… not gonna happen.